A new channel has started in DVB-S2 Clear: Africa TV (Sudan) on 4140.00MHz, pol.H SR:3000 FEC:2/3 SID:4 PID:547[MPEG-4]/800. A new channel has started in DVB-S Clear: Africa TV (Sudan) on 11315.15MHz, pol.V SR:27500 FEC:5/6 SID:9501 PID:1151/2151. New frequency for Africa TV: 11766.00MHz, pol.H (DVB-S SR:27500 FEC:5/6 SID:2005 PID:1050/1051 Arabic- Clear). Africa TV has left 3722.00MHz, pol.R (DVB-S SID:1 PID:4450/4410 Arabic), it is no longer transmitted by satellite in Europe. A new channel has started in DVB-S Clear: Africa TV (Sudan) on 3884.00MHz, pol.R SR:27500 FEC:3/4 SID:5057 PID:512/650 Arabic. A new channel has started in DVB-S Clear: Africa TV (Sudan) on 3752.00MHz, pol.L SR:27500 FEC:3/4 SID:5057 PID:512/650 Arabic. Africa TV (Sudan) broadcasts in DVB-S Clear on 4176.00MHz, pol.L SR:27500 FEC:3/4 SID:5057 PID:512/650 Arabic. Africa TV has left 11727.00MHz, pol.H (DVB-S SID:32 PID:2062/2022 Arabic), it is no longer transmitted by satellite in Europe. 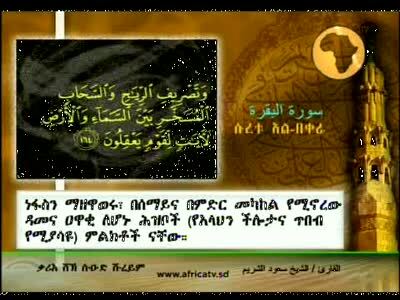 New SID for Africa TV on 11727.00MHz, pol.H FEC:3/4 SR:27500: SID:32 ( PID:2062/2022 Arabic - Clear). A new channel has started in DVB-S Clear: Africa TV (Sudan) on 11727.00MHz, pol.H SR:27500 FEC:3/4 SID:21 PID:2160/2120 Arabic.